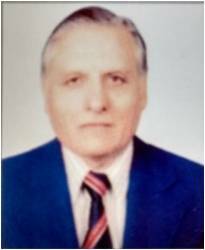 Shri D.P. Dash Pr. 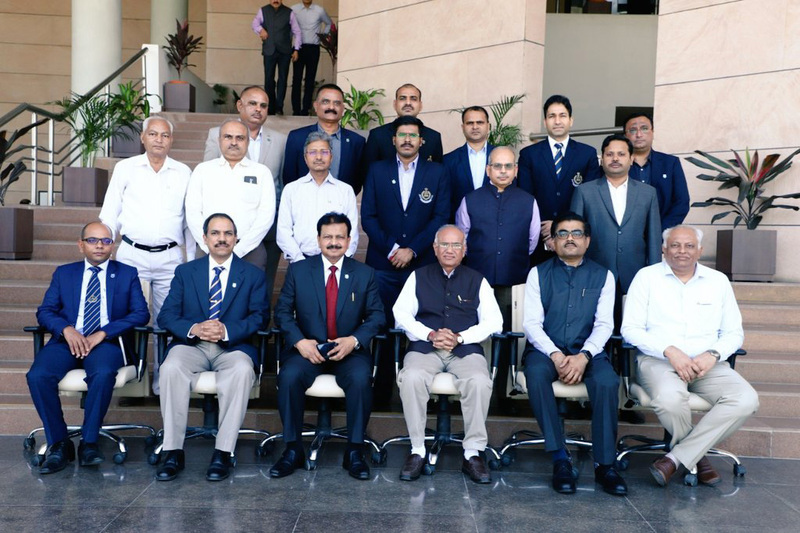 DG DRI with Senior Officers in 1st S-CORD Meeting held on 8th April 2019 in New Delhi. 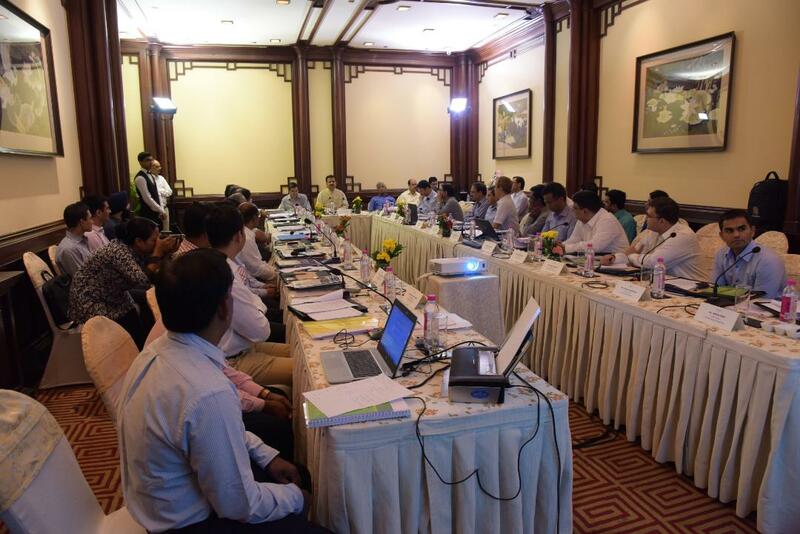 The meeting intended to check organized smuggling was attended by 23 agencies. 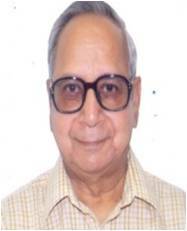 Shri D.P. Dash Pr. DG DRI India and Dr. Md. 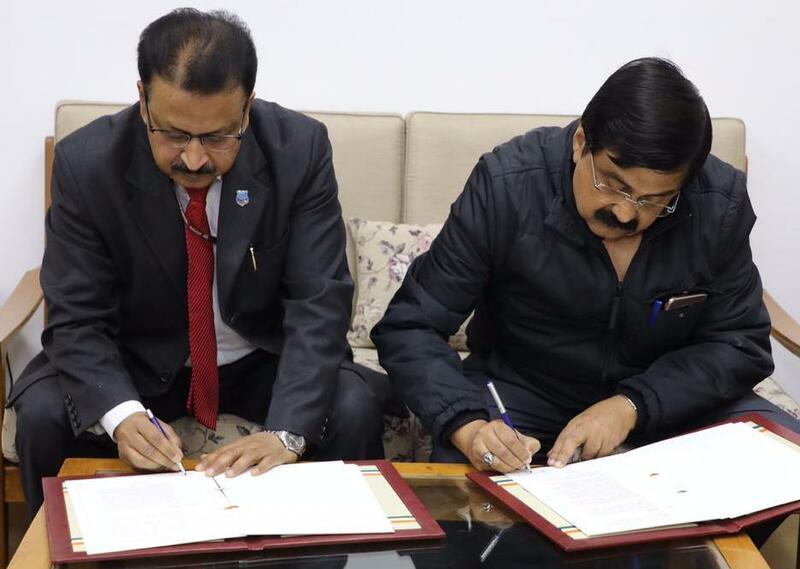 Shahidul Islam DG CIID Bangladesh signing the agreed Minutes of 1st DG level talks between India and Bangladesh. 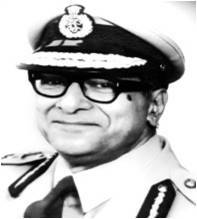 Shri D.P. Dash Pr. DG DRI India and Dr. Md. Shahidul Islam DG CIID Bangladesh exchanging the agreed Minutes of 1st DG level talks between India and Bangladesh. 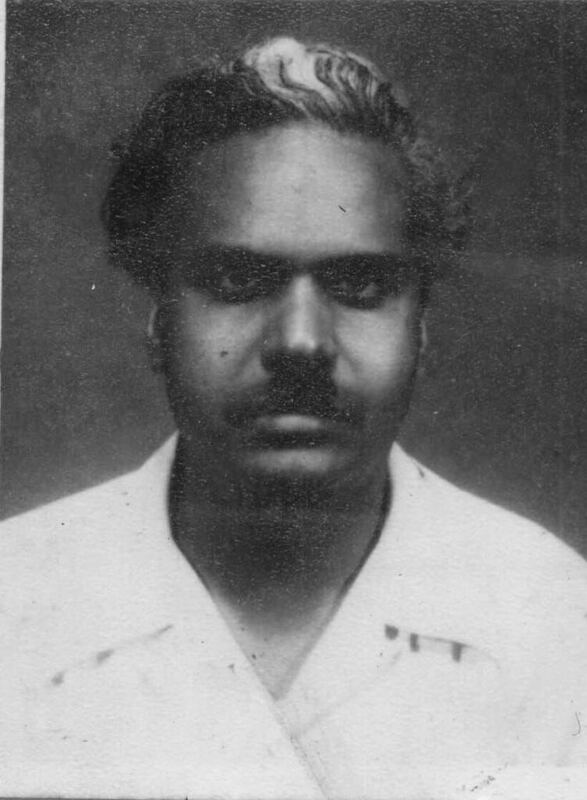 Shri D.P. Dash Pr. DG DRI India and Dr. Md. Shahidul Islam DG CIID Bangladesh with Delegations of both countries during 1st DG level talks between India and Bangladesh in Dhaka. 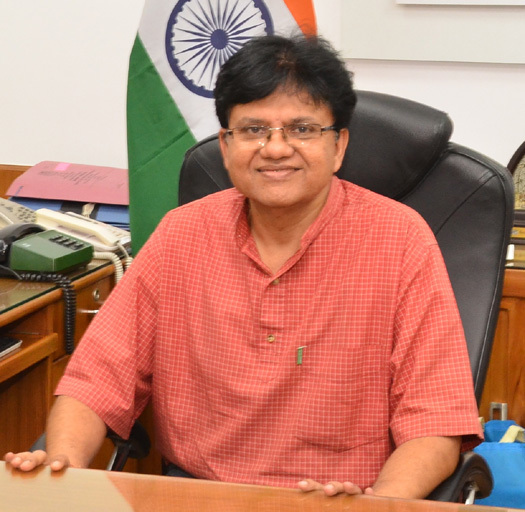 Shri Debi Prasad Dash - Pr. 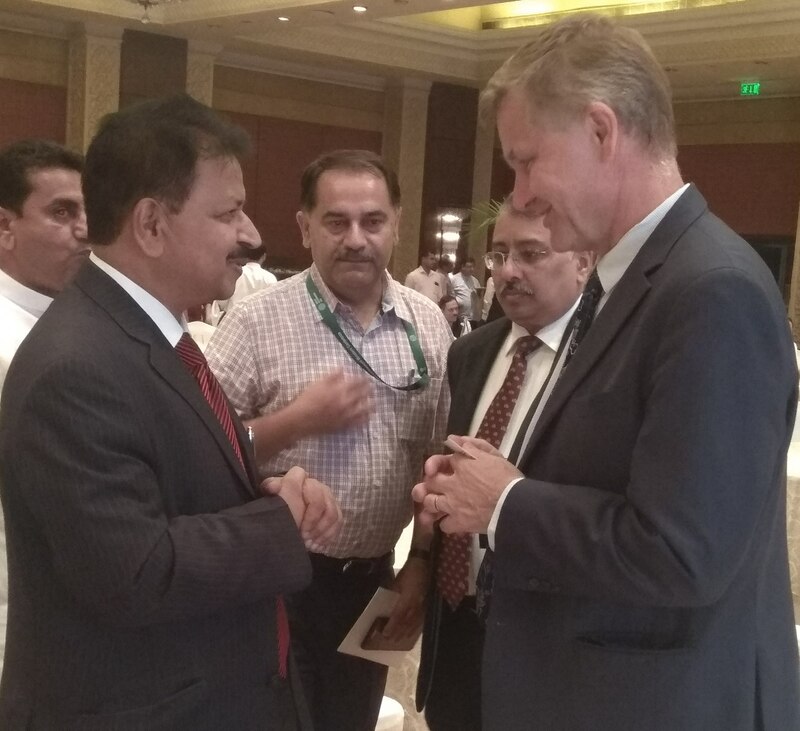 DGRI with WCO officials and other foreign delegates at the WCO – Brussels. 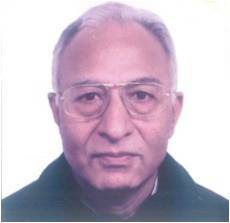 Shri Debi Prasad Dash - Pr. 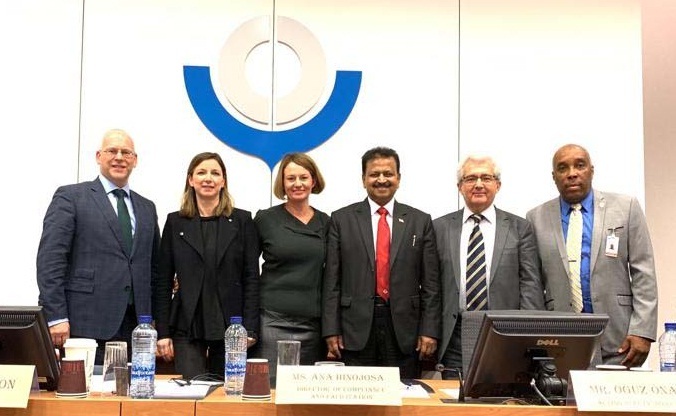 DGRI heading a meeting of Enforcement Committee of WCO in Brussels. 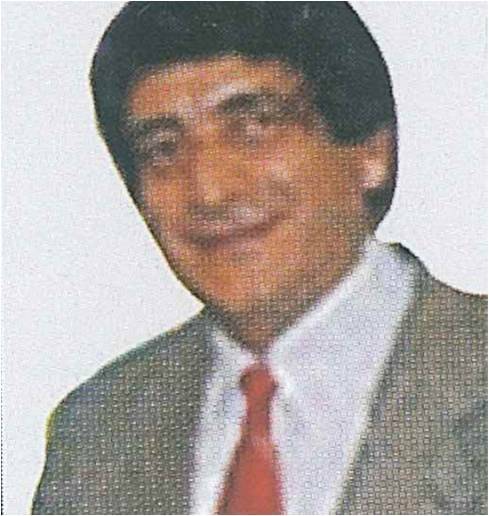 Shri D.P. Dash Pr. DGRI and Dr. J.M. 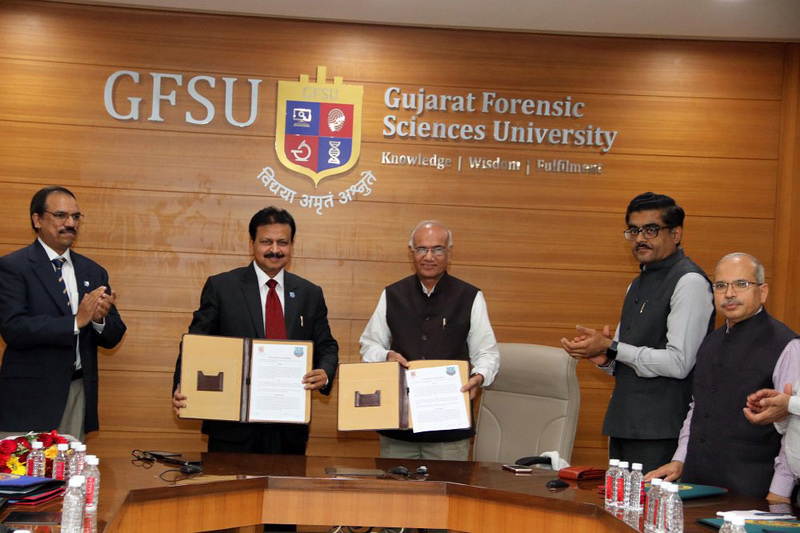 Vyas Director General Gujarat Forensic Science University signing the Memorandum of Understanding between DRI and G.F.S.U. on 25.02.2019 in Ghandinagar. 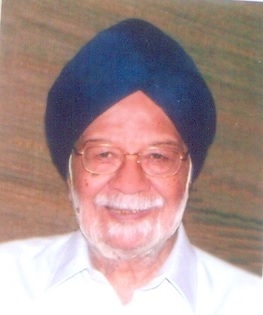 Shri D.P. Dash Pr. DGRI and Dr. J.M. 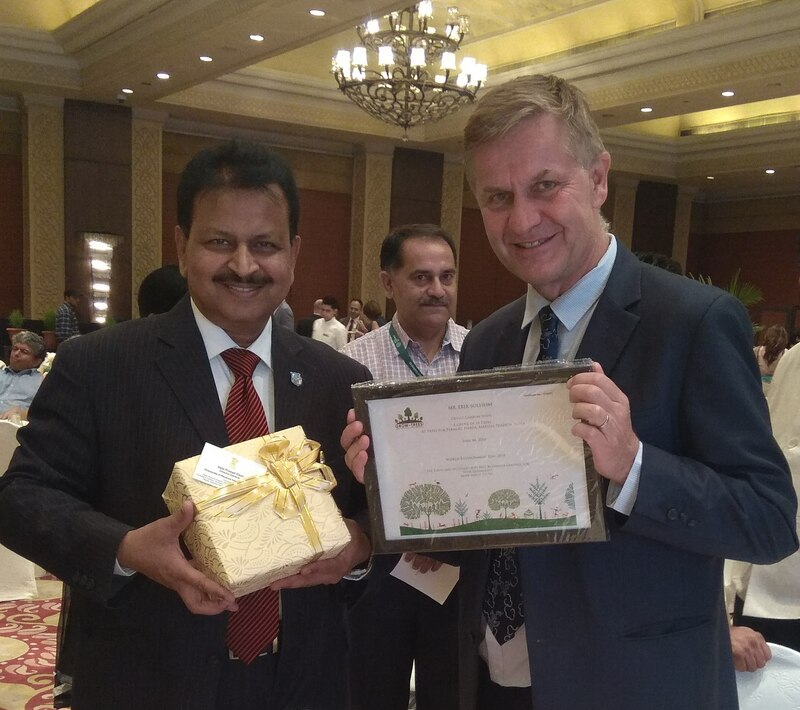 Vyas DG GFSU with the signed MoU. Pr. 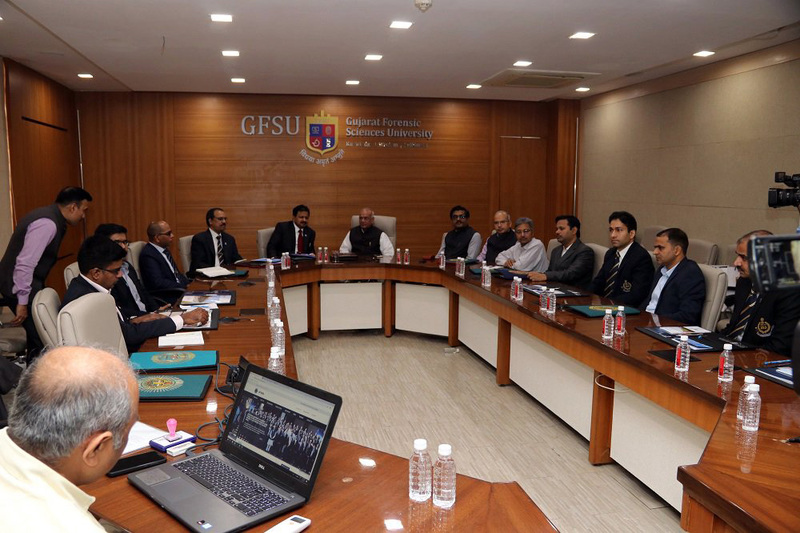 DGRI and Director General GFSU with Senior Officers. 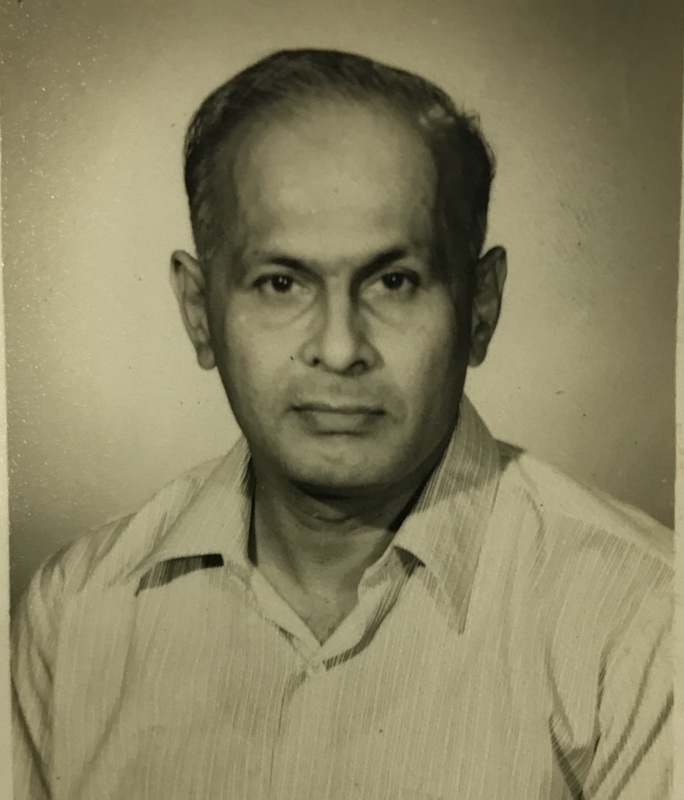 Shri D.P. Dash Pr. 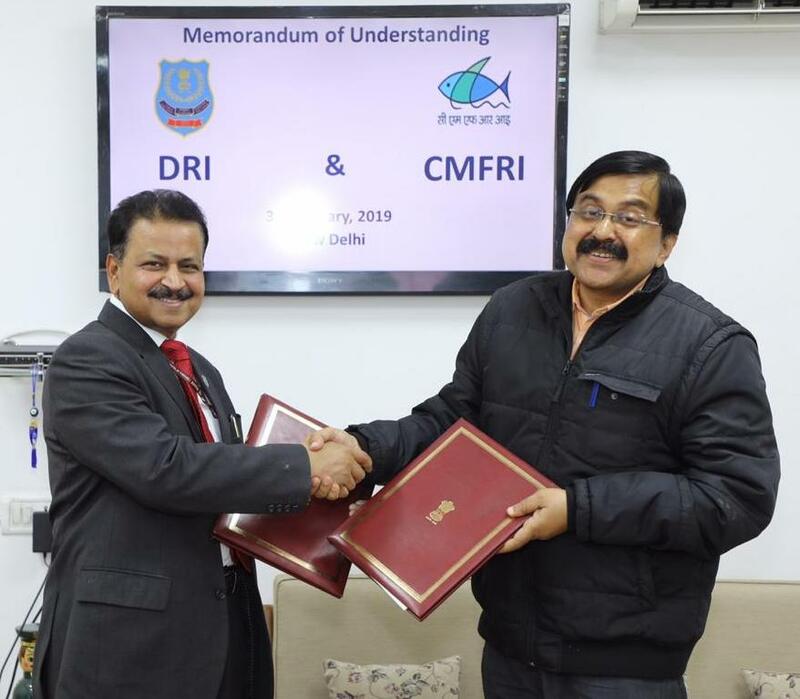 DGRI and Dr. A Gopalakrishnan Director Central Marine Fisheries Research Institute signing the Memorandum of Understanding between DRI and CMFRI on 31.01.2019 in New Delhi. Pr. 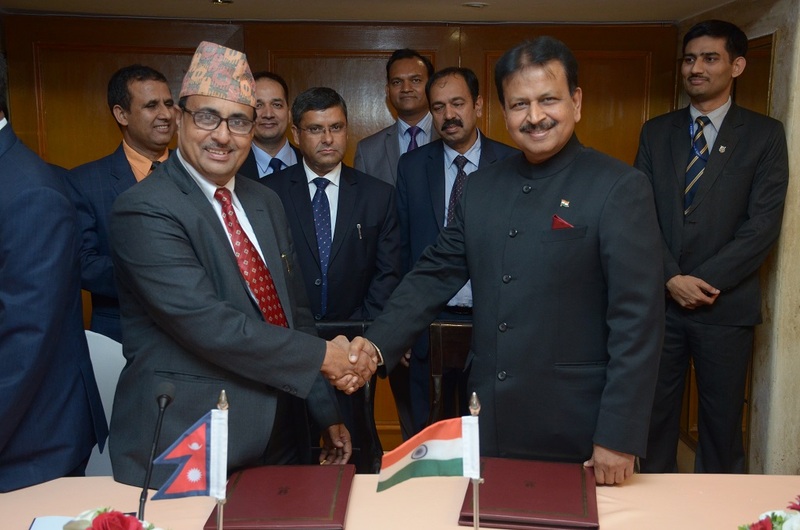 DGRI and Director CMFRI exchanging the signed MoU. Pr. 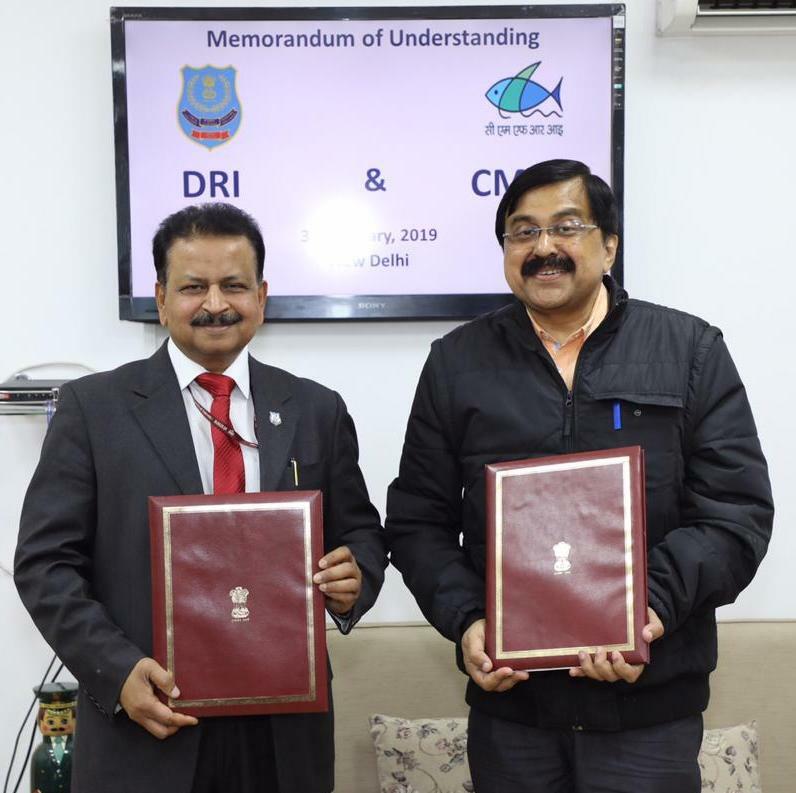 DGRI and Director CMFRI with the signed MoU. Pr. DGRI and Director CMFRI with Pr. 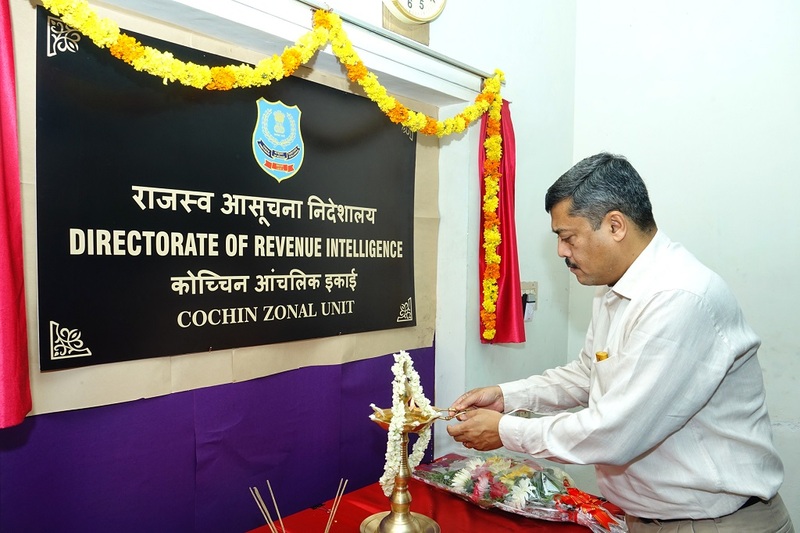 ADG Cochin Zonal Unit and Pr. 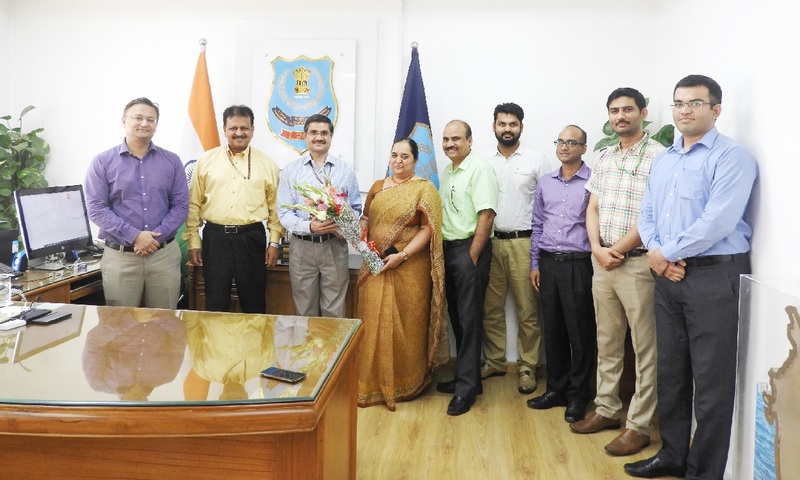 ADG HQ and Senior Officers of DRI. Pr. DGRI with the recipients of Appreciation Certificate for ‘Specially Distinguished Record of Service’ on the occasion of International Customs Day 2019. 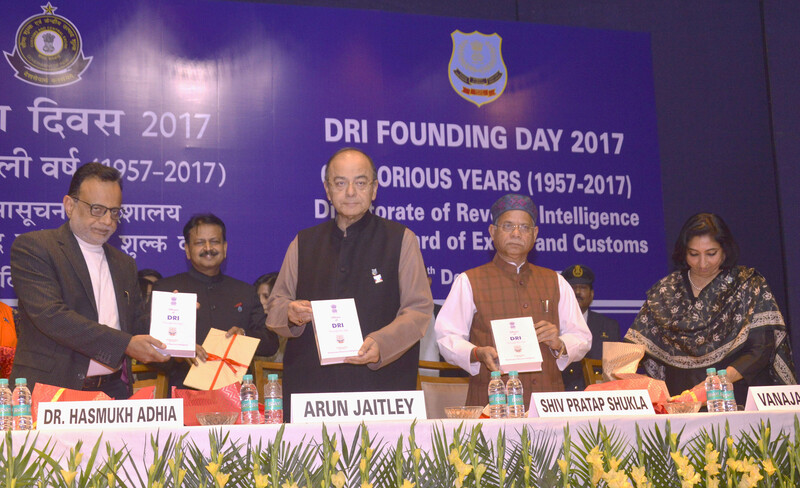 Honourable Finance Minister addressing on the occasion of DRI Founding Day 2018. 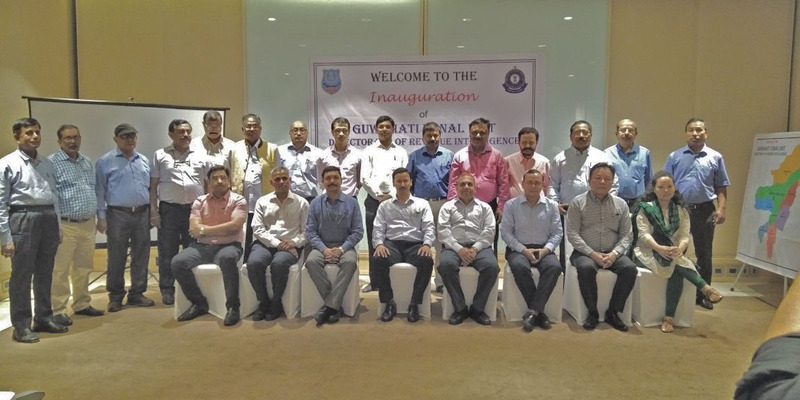 DRI officers and COIN officers participating in 5th Regional Customs Enforcement Meeting 2018 held on 4th-5th December 2018 at in New Delhi. 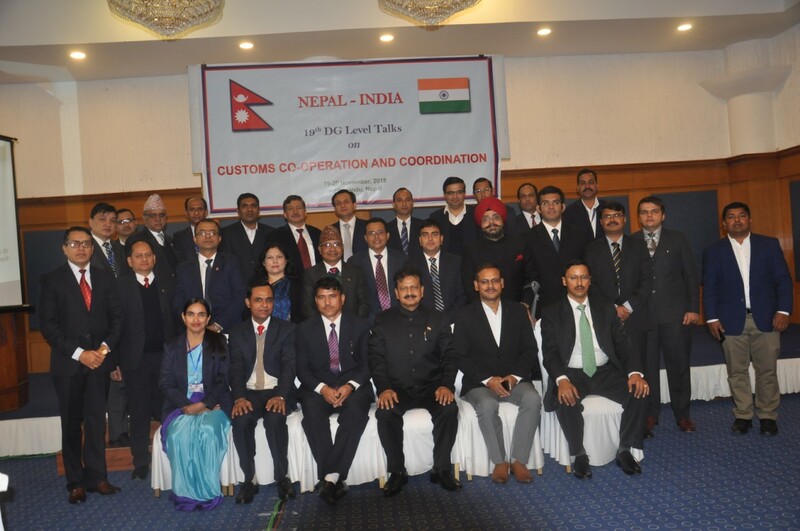 Participants from various countries on the occasion of 5th Regional Customs enforcement Meeting held on 4th – 5th December 2018 at New Delhi. 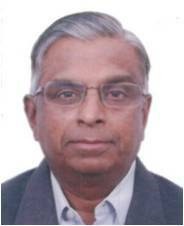 Dr. John Joseph Member CBIC and Shri D.P. 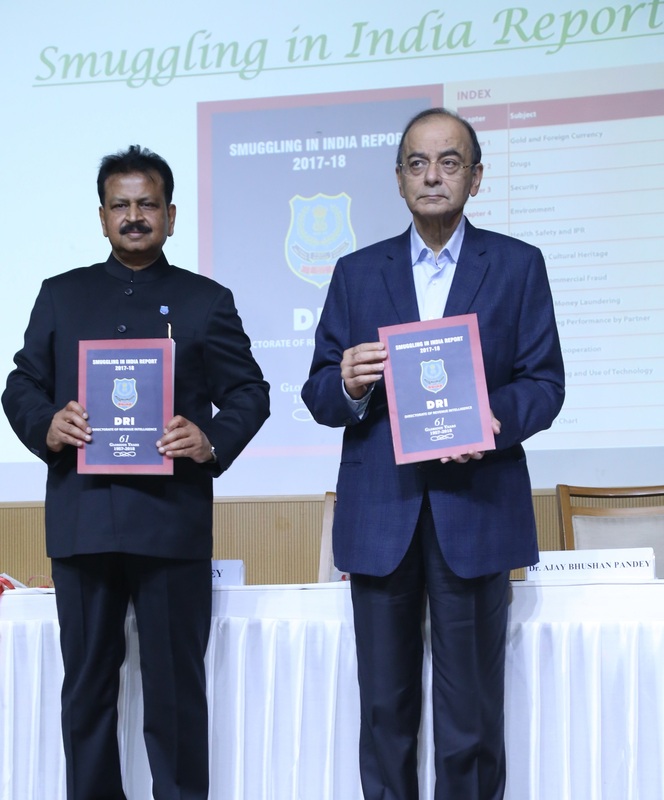 Dash DGRI with senior officer of DRI on DRI Founding Day 2018. 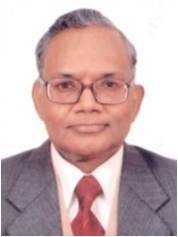 Honourable Finance Minister presenting DRI Marty’s Medal to wife of Late Shri Lakshman Das Aroa IRS. Honourable Revenue Secretary presenting First DRI Utkrisht Seva Samman 2018 to Ex. 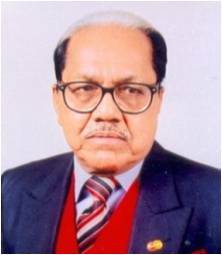 DGRI Shri M.L. Wadhawan. Honourable Revenue Secretary presenting First DRI Utkrisht Seva Samman 2018 to Ex. 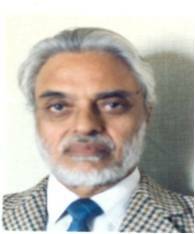 DGRI Shri G.S. Sawhney. 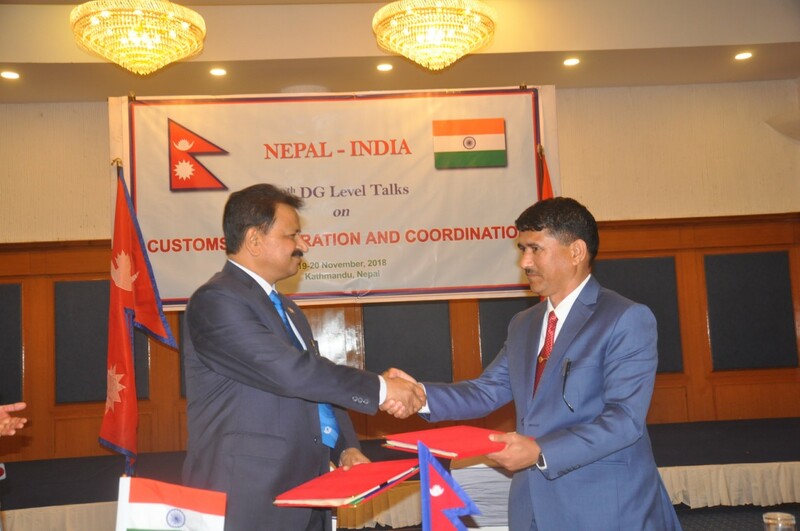 19th India-Nepal DG Level Talks held on 19-20 November 2018 at Kathmandu . 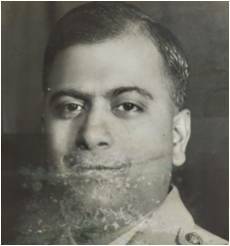 DRI Martyr Late Tarun Kumar Dutta. 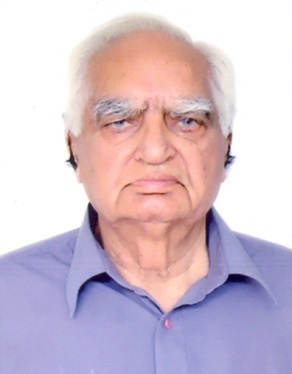 Shri G.S. 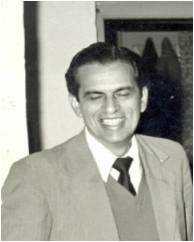 Sawhney Former DG DRI 1971-1976 at DRI Hqrs. addressing the officers. 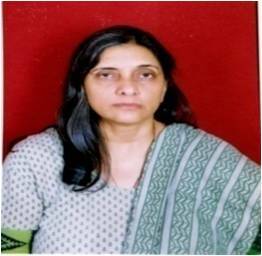 DGRI felicitates Ms. Ritika Daughter of Shri V.S. Negi DRI for her achievement in 4x400 m Relay in IAAF World U-20 Championship held in Finland. 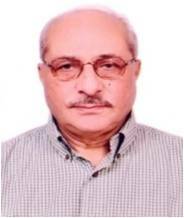 Shri Vivek Chaturvedi ADG DRI Hqrs. 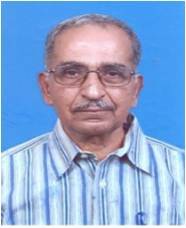 has been empanelled for holding the post of Joint Secretary or equivalent at Centre. 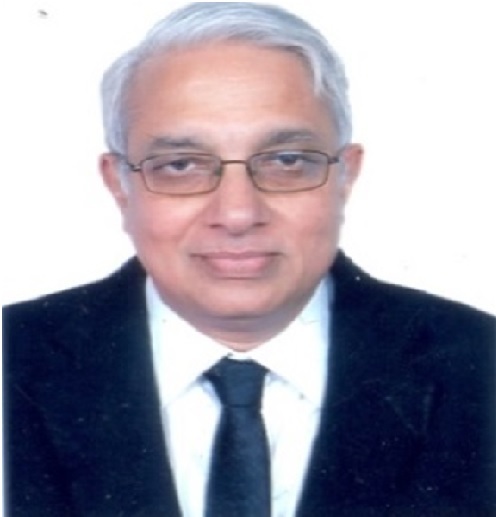 Justice Arijit Pasayat Vice-Chairman SIT on Black Money; Shri D.P. 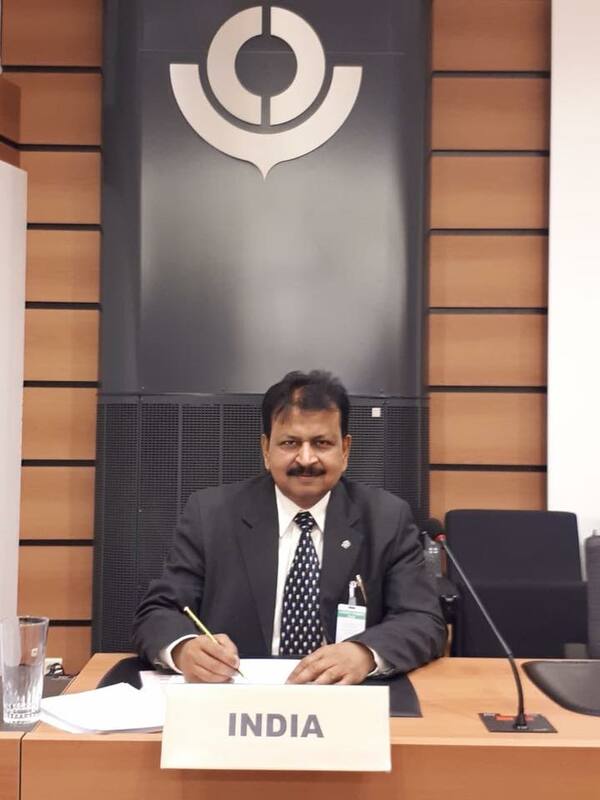 Dash DG DRI; Shri K. Tushar Parasshar DD DRI Bhubaneswar alongwith senior officers of CBI and ED releasing the February 2018 edition of DRI Newsletter..
DGRI representing India at World Customs Organisation Brussels. • 15.04.2019 – DRI seized 75 Lakhs Cigarette Sticks of foreign origin valued at Rs. 80 Lakhs in Imphal. • 11.04.2019 – DRI seized 5.6 Kgs. of Gold valued at Rs. 1.82 Crores in Trivandrum. • 03.04.2019 – DRI seized a total of 119600 sticks of Cigarettes – 109600 sticks of Win Brand and 10000 sticks of Dunhill Brand- from Guwahati Dadar Express at Patna Junction Station – Patna. • 03.04.2019 – DRI seized 1.473 MTs. of Red Sanders valued at Rs. 81.02 Lakhs near Silchar. • 03-04.04.2019 – DRI seized 19Kgs. of foreign marked Gold from the containers of heavy metal scrap at Nhava Sheva port – Maharashtra. • 31.03.2019 – DRI seized 3.35 Kgs. of smuggled Gold in the follow up action of earlier seizure in Mumbai. • 29.03.2019 – DRI seized 106.9 Kgs. 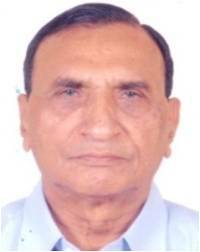 of smuggled Gold and Cash 1.81 Crores in Mumbai. • 28.03.2019 – DRI seized 4.077 Kgs. of smuggled Gold valued at Rs. 1.31 Crores at Cochin Airport. • 26.03.2019 – DRI seized 3.32 Kgs. of smuggled Gold in Kolkata. • 25.03.2019 – DRI seized Assorted Foreign Currencies equivalent to Rs. 37 Lakhs at Chennai Airport. • 25.03.2019 – DRI seized 453 Kgs. of Cannabis at Siliguri. • 24.03.2019 – DRI seized Assorted Foreign Currencies equivalent to Rs. 71 Lakhs at IGI Airport New Delhi. 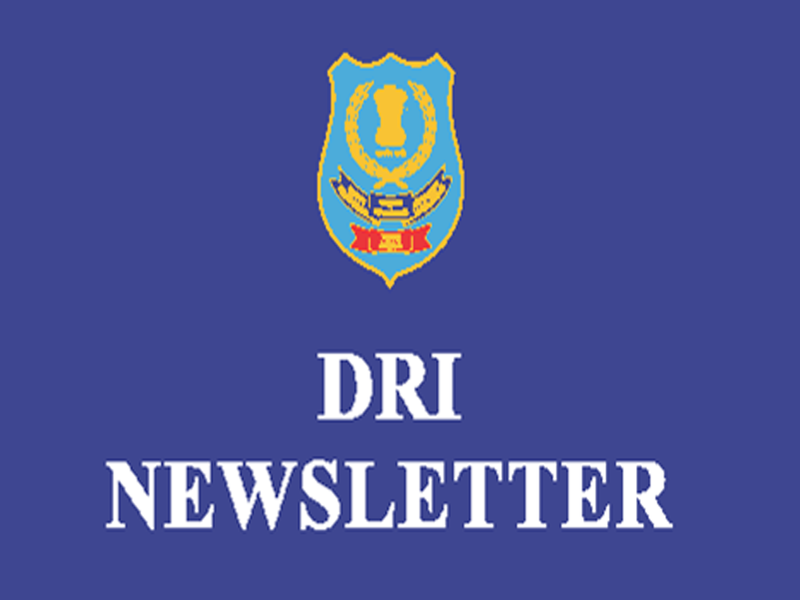 • 19.03.2019 – DRI seized 321 Nos. of live Star Tortoises at Chennai Central Railway Station. • 14.03.2019 – DRI seized 54.94 Lakhs Cigarette Sticks of foreign origin valued at Rs. 8.24 Crores in Moradabad and Delhi. • 13.03.2019 – DRI seized Foreign Currency equivalent to Rs. 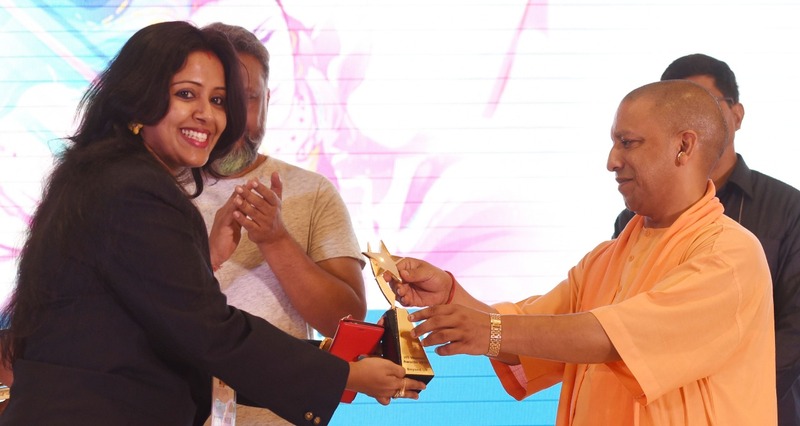 1.04 Crores at Rupaidiha – U.P. 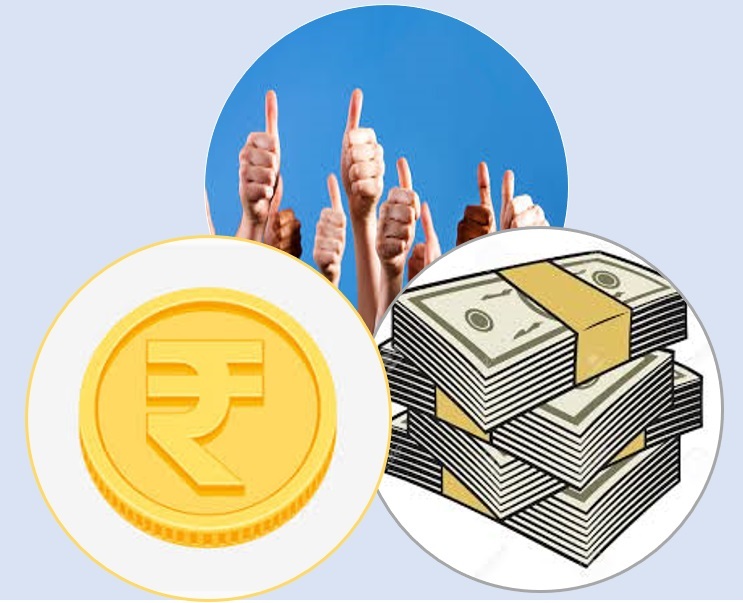 • 13.03.2019 – DRI recovered Foreign Currency equivalent to Rs. 2.18 Crores 6.82 Kgs. of foreign marked Gold Bars 5.59 Kgs. of Gold Jewellery and INR 42.50 Lakhs in Delhi. • 12.03.2019 – DRI seized 350 Kgs of Ganja at Varanasi. • 12.03.2019 – DRI seized 10.8 MTs of Red Sanders logs valued at Rs. 4.85 Crores in Chennai. • 12.03.2019 – DRI recovered several articles made of Elephant Tusk ivory totally valued at Rs. 42.21 Lakhs at Jiaganj District Murshidabad – West Bengal. 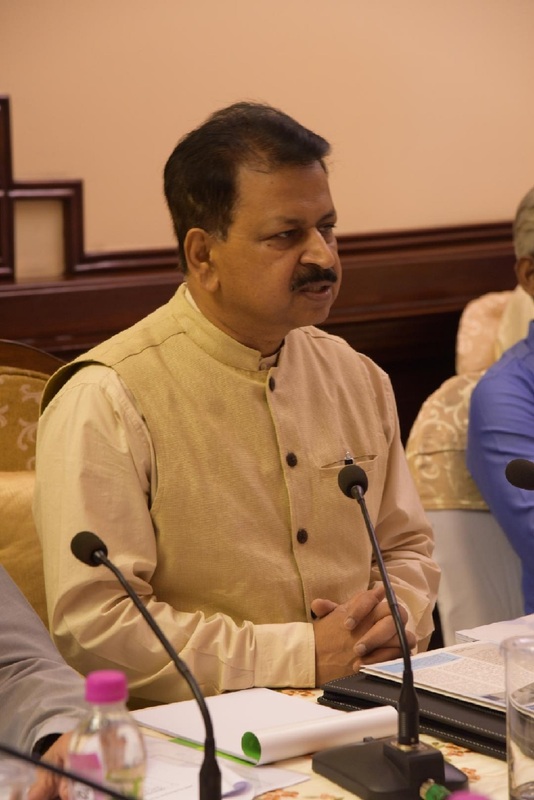 • 11.03.2019 – DRI seized 3.144 Kgs of Elephant Tusks in Kolkata. • 11.03.2019 – DRI seized 6.790 MTs of Red Sanders valued at Rs. 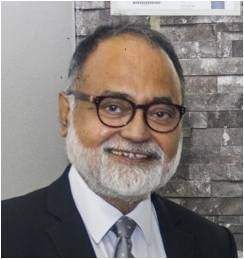 3.40 Crores in Kolkata. • 08.03.2019 – DRI seized 2.680 MTs of Red Sanders valued at Rs. 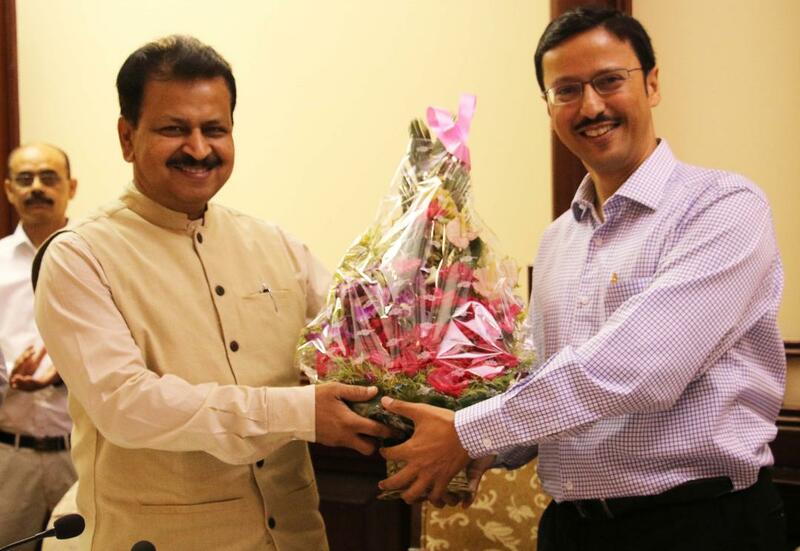 1.34 Crores at Panvel District Raigad – Maharashtra. • 06.03.2019 – DRI seized 2.987 Kgs. of crude Gold Bars at Nagpur Airport. • 03.03.2019 – DRI seized 39.156 MTs. of Beter Nuts of foreign origin valued at Rs. 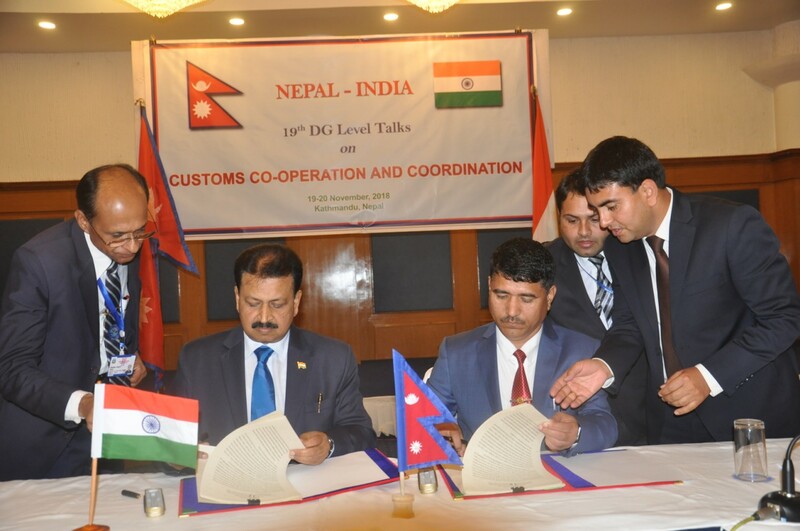 1.08 Crores at Champhai – Mizoram. • 03.03.2019 – DRI seized 3.145 Kgs. of Gold valued at Rs. 1.04 Crores at Calicut Airport. • 01.03.2019 – DRI seized 2.998 Kgs. of Gold valued at Rs. 1.01 Crores at Cochin Airport. • 28.02.2019 – DRI seized 621.300 Kgs. of Ganja valued at Rs. 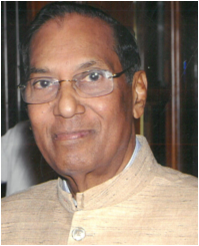 93.19 Lakhs at Siddipet – Telangana. • 27.02.2019 – DRI seized 357 Kgs. of Ganja at Orai – U.P. • 26.02.2019 – DRI seized 3.029 Kgs. of Gold of foreign origin valued at Rs. 1.04 Crores at Chennai Airport. • 24.02.2019 – DRI seized 219600 Cigarettes sticks of foreign origin valued at Rs 32.94 Lakhs at Patliputra Railway Station – Birar. • 22.02.2019 – DRI seized 1813 Kgs. of Cannabis Ganja valued at Rs. 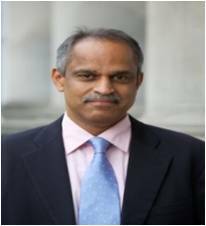 2.75 Crores near Visakhapatnam. • 21.02.2019 – DRI seized 17.9 Kgs. of smuggled Gold other smuggled goods including Apple watches iPhones USB storage chips solid state drive camera lenses and cigarettes of foreign origin valued at Rs. 1.1 Crores Indian Currency Rs. 18 lakhs and Foreign Currency equivalent to Rs. 15 Lakhs in Chennai. • 19.02.2019 – DRI seized 6.643 Kgs of Gold of foreign origin valued at Rs. 2.33 Cr. in Silchar – Assam. • 18.02.2019 – DRI seized 5.72 Kgs of Gold of foreign origin valued at Rs. 1.97 Crores at Chennai Airport. • 17.02.2019 – DRI seized 628 Kgs of Ganja in Lucknow – U.P. • 14.02.2019 – DRI seized 5.00 Kgs of Gold of foreign origin valued at Rs. 1.67 Crores at Pt. 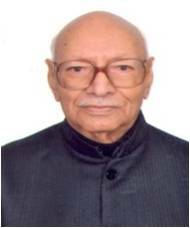 Deen Dayal Upadhyaya – U.P. • 14.02.2019 – DRI seized 5.66 Kgs of Gold valued at Rs. 1.86 Crores at Kanpur International Airport. • 09.02.2019 – DRI seized 8.963 Kgs. of Gold valued at Rs. 3.05 Crores in Guwahati. • 09.02.2019 – DRI busted illicit drug manufacturing lab and seized 2.300 Kgs. of Mephedrone alongwith raw material in Bahadurgarh – Haryana. • 08.02.2019 – DRI seized 1.62 Lakhs Cigarette sticks of foreign origin valued at Rs. 24.36 Lakhs at Muzaffarpur Railway Station – Bihar. • 08.02.2019 – DRI seized 865 Kgs. of Cannabis near Visakhapatnam. • 05.02.2019 – DRI seized 19.90 Kgs. 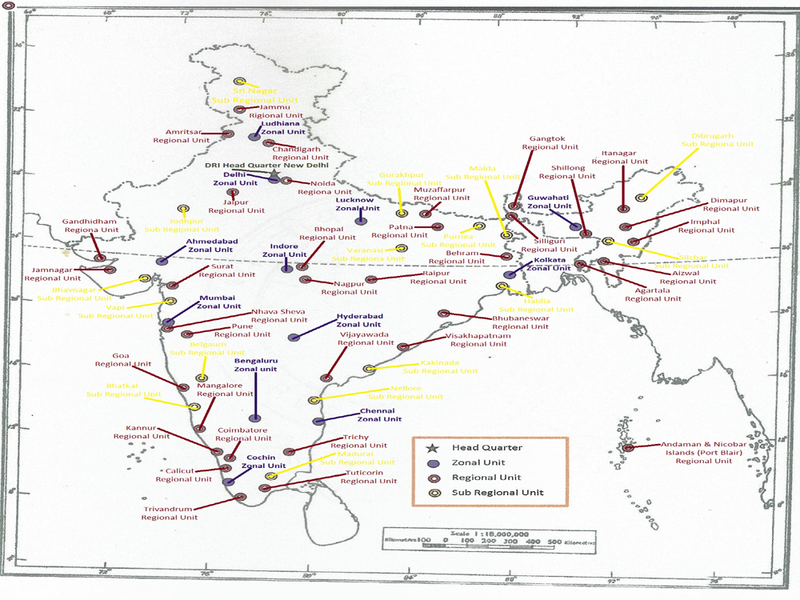 of Gold of foreign origin valued at Rs. 6.73 Cores in Kolkata. • 05.02.2019 – DRI seized 96.60 Lakhs Cigarettes sticks of foreign origin valued at Rs. 16.84 Crores in Navi Mumbai. • 01.02.2019 – DRI seized Foreign Currency equivalent to Rs. 72.56 Lakhs in Imphal. • 01.02.2019 – DRI seized 3.44 Lakhs Cigarettes Sticks of foreign origin valued at Rs. 53.60 Lakhs. • 01.02.2019 – DRI seized 120 Kgs of Silver Jewellery valued at Rs. 52 Lakhs and 6 MTs. of Chatton at Chennai port. • 30.01.2019 – DRI seized 380 Kgs of Ganja /Cannabis in Muzaffarpur- Bihar. • 29.01.2019 – DRI seized 3.984 Kgs. of Gold of foreign origin valued at Rs.1.36 Crores at Chennai Airport. • 26.01.2019 – DRI seized 250.100 Kgs. of Ganja Cannabis at Sawkala Toll Plaza Gaya Bihar. • 25.01.2019 – DRI seized Foreign Currency equivalent to Rs. 1.36 Crores in Goa. • 17.01.2019 – DRI seized Foreign Currency equivalent to Rs. 40 Lakhs at Kochi Airport. • 17.01.2019 – DRI seized Foreign Currency amounting to USD 83500 at Mumbai Airport. • 17.01.2019 – DRI seized 210 Kgs of Charas / Hasish at Raxaul LCS. • 15-16.01.2019 – DRI seized 3.5 MTs. of Red Sander wood valued at Rs. 1.40 Crore in Manesar – Gurugram. • 15.01.2019 – DRI seized 20.622 Kgs. of Gold of foreign origin valued at Rs. 6.89 Crores in Chennai. • 13.01.2019 – DRI seized 1.44 lakhs tablets of amphetamine /methamphetamine and 710 grams of brown sugar totally valued at approximately Rs. 5 Crore at Khudengthabi – Manipur. • 11.01.2019 – DRI seized 14.465 MTs of Red Sanders valued at Rs. 6.5 Crores at ICD Kanakpura- Jaipur. • 10.01.2019 – DRI seized 13.38 MTs of Red Sanders logs valued at Rs. 6 Crores at Kattupalli port – Chennai. • 09.01.2019 – DRI seized 240000 Cigarettes sticks of foreign origin valued at Rs. 36.00 Lakhs at Patliputra Railway Station. • 07.01.2019 – DRI seized 11.664 Kgs. of Gold of foreign origin valued at Rs. 3.77 Crore at Majhdia Railway Station near Indo Bangladesh border. • 04.01.2019 – DRI seized 26.440 MTs. of Red Sanders logs valued at Rs. 11.90 Crore at Kattupalli port - Chennai. • 04.01.2019 – DRI seized 3.314 Kg. of Gold valued at Rs. 1.09 Crore at Visakhapatnam Railway Station. • 02.01.2019 – DRI seized 16.962 Kgs. of Elephant tusk in Gorakhpur Uttar Pradesh. • 30.12.2018 – DRI seized 799700 Sticks of foreign origin Cigarettes valued at Rs. 1.20 Crore at Patliputra Railway Station- Bihar. • 27.12.2018 – DRI seized assorted Foreign Currency equivalent to Rs. 3.30 Crore at IGI Airport New Delhi. • 21.12.2018 – DRI seized 6 Kg of Gold valued at Rs. 1.90 Crore at Zaveri Bazar – Mumbai. • 21.12.2018 – DRI seized 25 laks sticks of cigarettes of foreign origin valued at Rs. 3.6 Crore at Chandni Chowk- Delhi. • 19.12.2018 – DRI seized Foreign Currency equivalent to Rs. 29.3 Lakh at Bangalore Airport. • 18.12.2018 – DRI seized 5.9 Kg of Gold of foreign origin valued at Rs. 1.9 Crore at Khudengthabi – Manipur. • 18.12.2018 – DRI seized Foreign Currency amounting to USD 4.9 Lakh equivalent to Rs. 3.6 Crore at IGI Airport New Delhi. • 18.12.2018 – DRI seized assorted Foreign Currency equivalent to Rs. 86 Lakh at Bangalore Airport. • 18.12.2018 – DRI seized assorted Foreign Currency equivalent to Rs. 3.48 Crore from inside the Aircraft SQ503 destined to Singapore from Bangalore. • 13.12.2018 – DRI seized 10.448 Kg of Elephant Tusks at New Jalpaiguri Railway Station. • 13.12.2018 – DRI seized 10 Kg of Gold valued at Rs. 3.40 Crore at Jewar Toll – U.P. • 10.12.2018 – DRI seized 894.1 Kg of Ganja in Muzaffarpur. • 07.12.2018 – DRI seized 33 Kg of Gold of foreign origin valued at Rs. 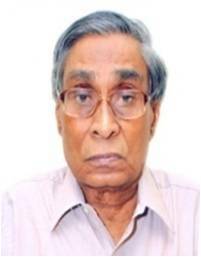 10.46 Crore at Dankuni – West Bangal. • 06.12.2018 – DRI seized 5.620 Kg of Gold of foreign origin valued at Rs. 1.75 Crore at IGI Airport New Delhi. 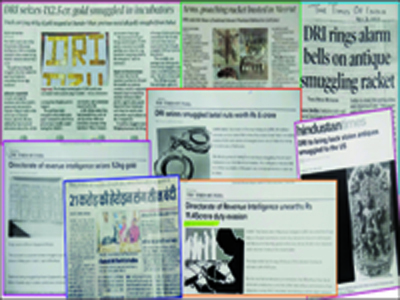 • 06.12.2018 – DRI seized 33 Kg of smuggled Gold valued at Rs. 10.46 Crore at Lucknow. • 05.12.2018 – DRI seized assorted Foreign Currency equivalent to Rs. 19.89 Lakh at Madurai Airport. 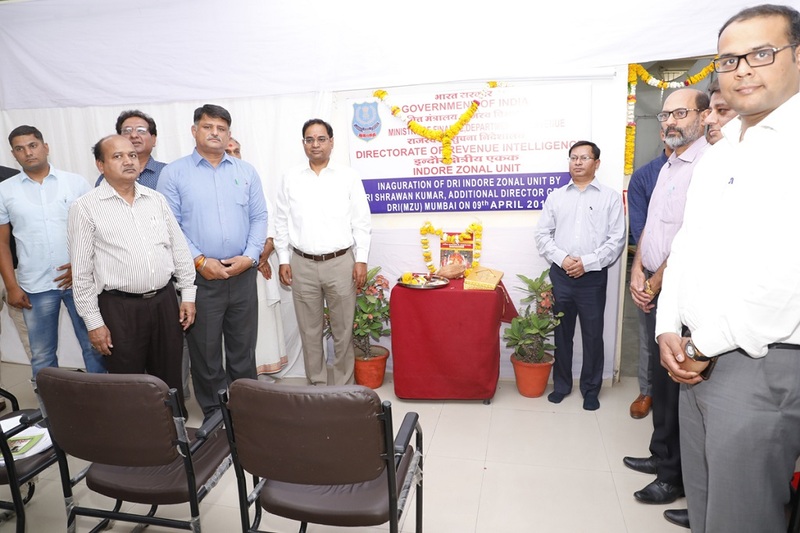 • 04.12.2018 – 61st DRI Founding Day observed on 04.12.2018. • 04.12.2018 – 5th Regional Customs Enforcement Meeting held on 04.12.2018 with participation 14 countries Interpol WCO and UNODC. • 04.12.2018 – DRI seized 5.07 Lakh Cigarettes sticks of foreign origin valued at Rs. 76.08 Lakh at Pt. Deen Dayal Upadhyaya Junction. • 02.12.2018 – DRI seized Foreign Currency amount to USD 80000 at Kolkata Airport. • 01.12.2018 – DRI seized 11.2 Kgs of gold near Aizawl. • 01.12.2018 – DRI seized 20.50 lakh Cigarettes sticks of foreign origin valued at Rs. 3.07 Crore at Lucknow. • 29.11.2018 – DRI seized 7 Kgs of smuggled gold and Rs. 11.16 Crore of cash in Indian Currency in Chennai. • 28.11.2018 – DRI seized 7.765 Kg of Gold valued at Rs. 2.373 Crore at Trichy International Airport. • 28.11.2018 – DRI seized 33.60 lakh Cigarettes sticks of foreign origin valued at Rs. 3.98 Crore in Guwahati. • 28.11.2018 – DRI seized 6 African Spurred Tortoises in Indore. • 27.11.2018 – DRI seized 21.437 Kg of Gold and 35.729 Kg of Silver totally valued at Rs. 6.91 Crore. • 26.11.2018 – DRI seized 14 MTs. of Red Sanders valued at Rs. 5.6 Crore at Kattupalli port. • 25.11.2018 – DRI seized 60 MTs of smuggled black pepper valued at Rs. 3.00 Crore in Gorakhpur. • 24.11.2018 – DRI seized 1143 Kg of Ganja valued at Rs. 1.71 Crore in Bhubaneswar. • 23.11.2018 – DRI seized assorted foreign currencies equivalent to Rs. 1.28 Crore. • 23.11.2018 – DRI seized smuggled drugs – Anabolic steroids – valued at Rs. 2.00 Crore. • 19.11.2018 – DRI seized 4.980 Kg of Gold valued at Rs. 1.57 Crore. • 18.11.2018 – DRI seized 9.296 Kg of Gold at New Jalpaiguri Railway Station. • 18.11.2018 – DRI seized 9.4 Kg of Gold at Dimapur - Nagaland. • 17.11.2018 – DRI seized foreign currencies equivalent to Rs. 94.03 Lakh at IGI Airport New Delhi. • 14.11.2018 – DRI seized foreign currency amounting to USD 1.38 Lakh equivalent to Rs. 1.09 Crore at Hyderabad Airport. • 13.11.2018 – Huge cache of explosive – arms – ammunitions and narcotics – heroin – seized by DRI in a joint operation with Indian Army in Akhnoor region of Jammu and Kashmir. • 11.11.2018 – DRI seized 3.80 Kg. of Gold valued at Rs. 1.20 Crore at Calicut. • 10.11.2018 – DRI recovered 307 Star Tortoises in Mumbai. • 10.11.2018 – DRI seized foreign currency amounting to USD 4.58 Lakh equivalent to Rs. 3.40 Crore at IGI Airport-New Delhi. • 09.11.2018 – DRI seized 5.17 Kg. of Gold valued at Rs. 1.53 Crore at Mumbai and Delhi. • 07.11.2018 – DRI seized 2.660 MTs of Red Sanders valued at Rs. 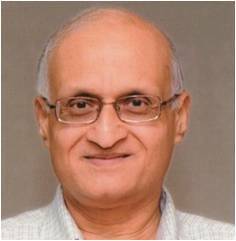 1.06 Crore near JNPT. • 05.11.2018 – DRI seized 5166000 sticks of foreign origin cigarettes and 1450 Kg. of Black Pepper totally valued at Rs. 9.37 Crore at Guwahati. • 02.11.2018 – DRI recovered 279 tortoises in Patna. • 05.11.2018 – DRI seized 25 lakh sticks of foreign origin cigarettes valued at Rs. 2.50 Crore. • 01.11.2018 – DRI recovered 547 dried tortoises near Varanasi. • 01.11.2018 – DRI seized assorted foreign currency having value equivalent to Rs. 2.07 Crore at IGI Airport New Delhi. • 31.10.2018 – DRI seized 20.232 Kg of foreign marked smuggled gold at New Delhi. • 30.10.2018 – DRI seized large quantity of electronic goods valued at Rs. 49 lakh at Chennai International Airport. • 27.10.2018 – DRI seized 3.2 Kg of Foreign Marked Gold Bar valued at Rs. 1.05 Crore at Bangalore Airport. 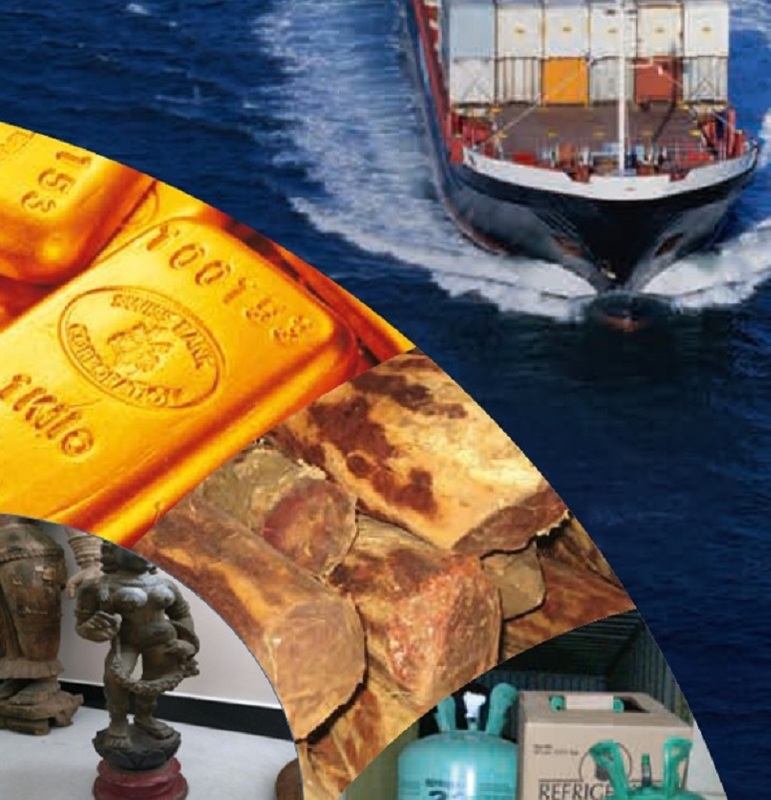 • 27.10.2018 – DRI seized 6.995 Kg of Foreign Origin Gold valued at Rs. 2.27 Crore at Chennai Airport. • 24.10.2018 – DRI seized Foreign Currency amounting to USD 174500/- equivalent to Rs. 1.27 Crore at Kolkata Airport. • 24.10.2018 – DRI seized 6.005 Kg. of Foreign Marking Gold Bar valued at Rs. 1.96 Crore at Indore Airport. • 19.10.2018 – DRI seized 720 Kg of Ganja near Hyderabad. • 18.10.2018 – DRI seized 7.482 Kg. of Gold valued at Rs. 2.45 Crore at Sihphir Aizawl. • 17.10.2018 – DRI seized 91.064 Kg of Ganja Cannabis valued at Rs. 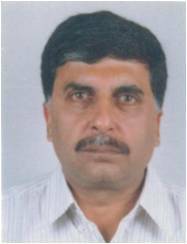 13.65 Lakh at Chandak- Barang – Orissa. • 17-18.10.2018 – DRI seized 27.36 Lakh of Cigarette sticks valued at Rs. 4 Crore. • 15.10.2018 – DRI seized 6 Kg of Foreign Marked Gold valued at Rs. 2 Crore at Chennai Airport. • 14.10.2018 – DRI seized 650 Grams of Brown Sugar valued at Rs. 65 Lakhs at Khudengthabi Manipur. • 13-14.10.2018 – DRI seized 11.29 Kg of Gold valued at Rs. 3.67 Crore at Bangalore Airport. • 12.10.2018 – DRI seized Foreign Currency equivalent to Rs. 72.90 Lakh at Chennai International Airport. • 9.10.2018 – DRI seized 4.194 Kg of smuggled Gold valued at Rs. 1.34 Crore at Hyderabad. • 9.10.2018 – DRI seized 9 Kg of Gold 17 Kg of Silver and 1.12 Crore Cash totally valued at Rs. 4.07 Crore in Kolkata. • 07.10.2018 – DRI seized 31 Exotic Birds 2 Lemurs 1 Marmoset and 1 Bengal Cat at Kolkata and 19 Exotic Birds at Pune. • 07.10.2018 – DRI seized 1600 Kg. of Shark Bones at Air Cargo Bangalore. • 06.10.2018 – DRI seized 282 Star Tortoises and 2 Sulcata Tortoises in Triplicane- Chennai. • 04.10.2018 – DRI seized 550 Kg. of Ganja valued at Rs. 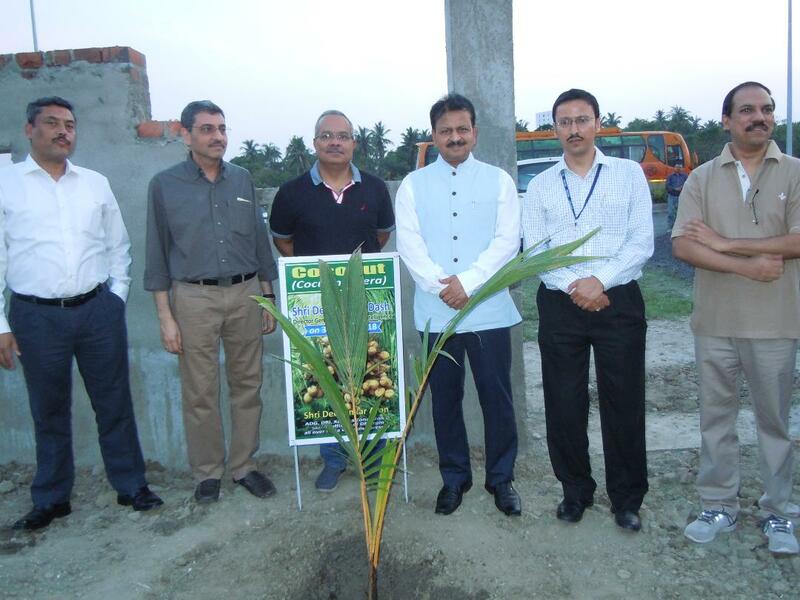 55.00 Lakh at at Khanapara - Beltola Road – Guwahati. • 27.09.2018 – DRI seized 38 Exotic Birds at NSCBI Airport Kolkata. • 26.09.2018 – DRI seized 9 Kg. of Fentanyl Hydrochloride –NDPS- valued at Rs. 100 Crore at Indore. DRI busts massive evasion of customs duty by importers of crystallized glass panels; detains glass panels worth more than Rs. 7 Crores;recovers more than Rs. 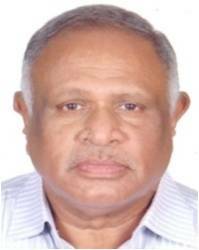 9.5 Crores; four persons arrested. Seizure of LED Television Sets imported by mis-declaring as parts and by undervaluing price. DRI seizes 100 kg smuggled gold within 48 hours. DRI busts another syndicate involved in racket of illegal import/smuggling of Kerosene – makes massive seizure of 139 containers of smuggled item at Kandla. DRI seizes 17.83 kgs of gold smuggled valued about Rs. 5.5 Crore smuggled from Sri Lanka through coastal Tamil Nadu being transported to Chennai by bus. On 27.06.2018 - DRI recovers smuggled exotic birds. On 20.06.2018 - DRI thwarts attempt to smuggle Red Sanders logs worth Rs. 5.28 Crore from Chennai Sea Port destined to China. On 11.06.2018 – DRI seized 309 Kg of Ketamine 250 Kg of Ketamine contained in raw material 8 Kg of Hashish and 140 Grams of Cocaine totally valued at Rs. 56 Crore at 11 locations in 5 states. On 31.05.2018 DRI seized two Hollock Gibbons two Palm Civets and 42 Exotic Birds at Bhojerhat West Bengal. On 05.05.2018 DRI busted drug racket operating through Foreign Post Office New Delhi. On 01.05.2018 & 02.05.2018 DRI seized 32.249 kg of gold smuggled from Sri Lanka through coastal Tamilnadu and being brought to Chennai.